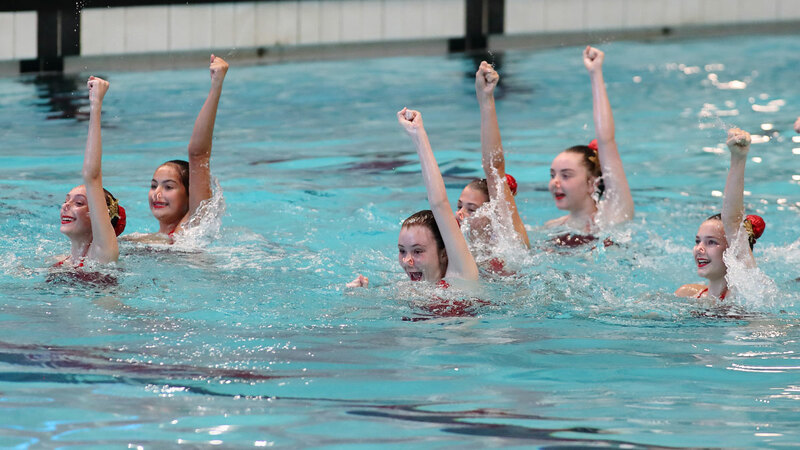 City of Salford lifted the Swim England Synchro Combo Cup after winning three golds and a bronze at the inaugural staging of the competition in Manchester. 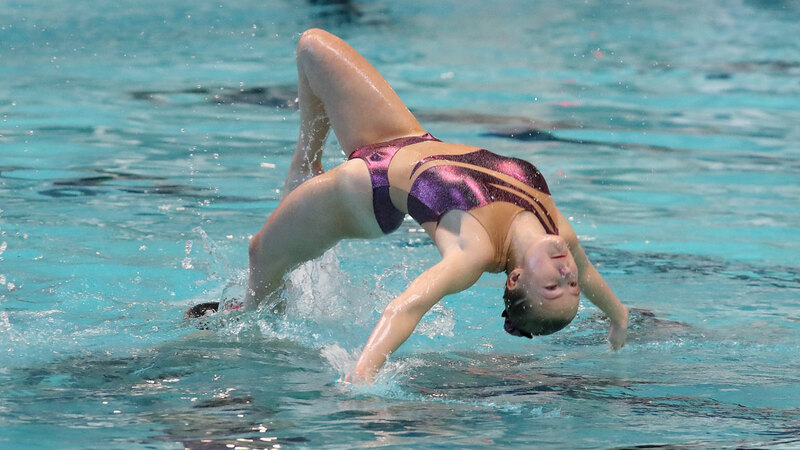 The Combo Cup features free combination routines across five age groups in two divisions; Division 1 open to swimmers who hold up to Figure Grade 3, and Division 2 open to those who hold at least Grade 3. You can purchase a USB stick featuring a full replay of the 2017 Combo Cup so you can watch it back and show to your family and friends. Head to our USB Footage Order Form to purchase yours. Salford impressed with their strength in depth, winning golds across both divisions. They kicked off with the 15 & Under Division 1 title in the first competition of the day, scoring 61.5000. Further victories came in the 15 & Under (58.7000) and 13-15 Yrs (61.1667) age groups of Division 2. Salford’s youngest swimmers finished fourth of 21 – the biggest field of the day – in the U12 Division 1 event before the 15-18 Yrs Division 2 team closed the competition with bronze. “It feels great,” said Salford swimmer Lauren Blissett, who swam in the Division 2 15-18 Yrs event. “It’s nice to be the first team to win the cup as it’s a new competition. “It’s quite intense because we’re all relying on each other to perform and do the best we can. “But today I think we showed what we can do and have a trophy to prove it, which is amazing. Salford were always penciled in for a top-two place, as one of just two teams – the other being Leeds – to have entered five events. Leeds also left with a collection of medals, scooping bronze in the Division 2 13-15 Yrs as well as silver in the Division 2 15-18 Yrs. Only Rugby SC could go better than Leeds in the latter, racking up the highest points tally on the day with 65.1667. 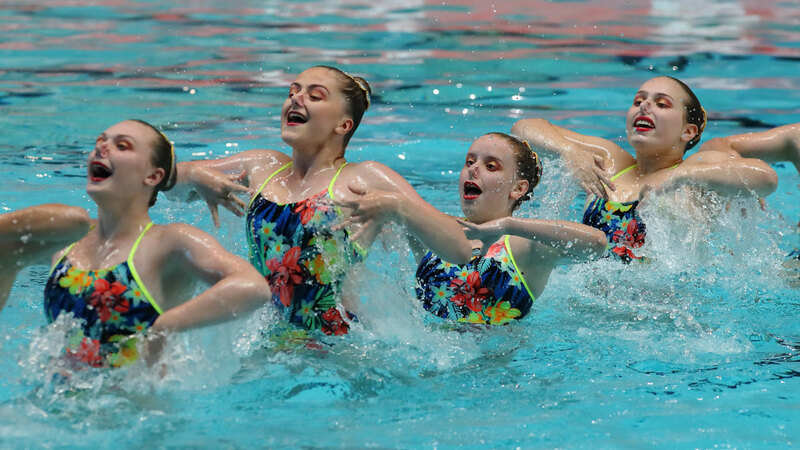 The Midlands club had plenty of experience in their 15-18 Yrs team, calling on nine of their squad who finished sixth with the same routine at the senior National Championships in Nottingham earlier this year. 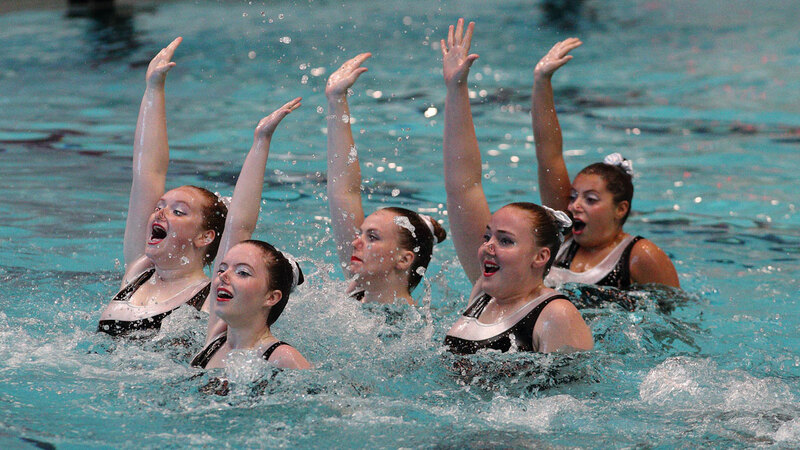 The other Division 2 gold went to City of Birmingham, who scored 64.2333 in the 13-18 Yrs event. City of Salford won the first event of the 2017 Combo Cup with victory in the Division One 15&Under age group. Portsmouth & District reached the podium in the opening event of the day, winning silver in the Division One 15 & Under event. 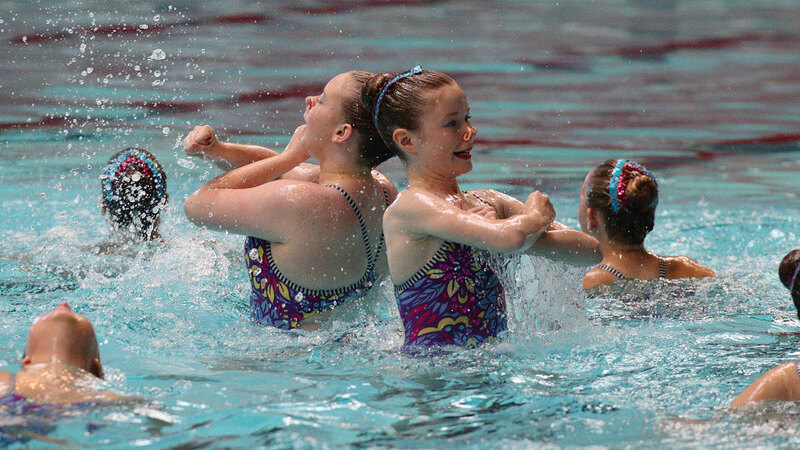 City of Salford made it two golds from two events as their 13-15 Yrs team picked up the Division Two crown. Edinburgh landed silver in the second event of the 2017 Combo Cup, the Division Two 13-15 Yrs. 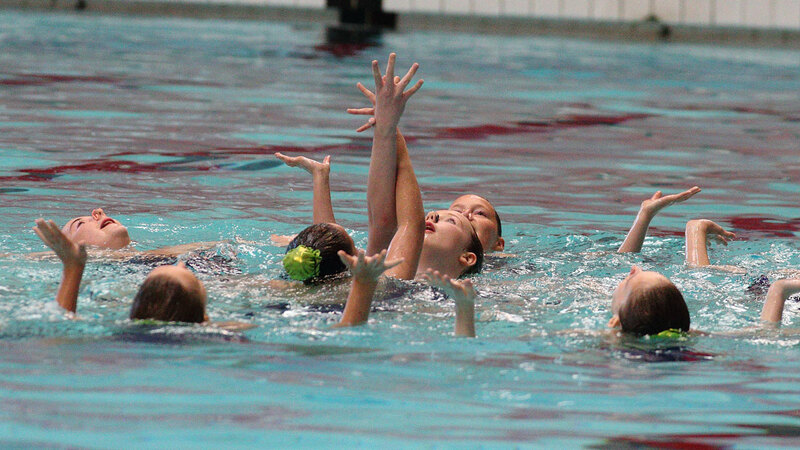 Aqualina secured an impressive one-two in the Division One 13-18 Yrs age group, winning gold and silver. Telford Aqua’s 13-18 Yrs team completed the podium with bronze in the Division One event. Walsall topped the podium in the Division One 13-15 Yrs event. City of Bristol reached the podium for the first time at the 2017 Combo Cup with silver in the Division One 13-15 Yrs event. City of Salford completed a hat-trick of golds in the first session of the 2017 Combo Cup, winning the 15&Under crown in Division Two. The second session kicked of with City of Bristol topping the podium in the Division One 15-18 Yrs event. Cheltenham won their only medal of the competition with bronze in the Division One 15-18 Yrs event. City of Preston also broke 60 points as they won silver in the Division Two 13-15 Yrs event. Nottingham-based Bramcote reached the podium for the first time in the Division One 12 & Under, winning bronze. Rugby closed the competition with an impressive performance for gold in the Division Two 15-18 Yrs event. City of Leeds won overall silver after landing silver in the final event of the day, the Division Two 15-18 Yrs. 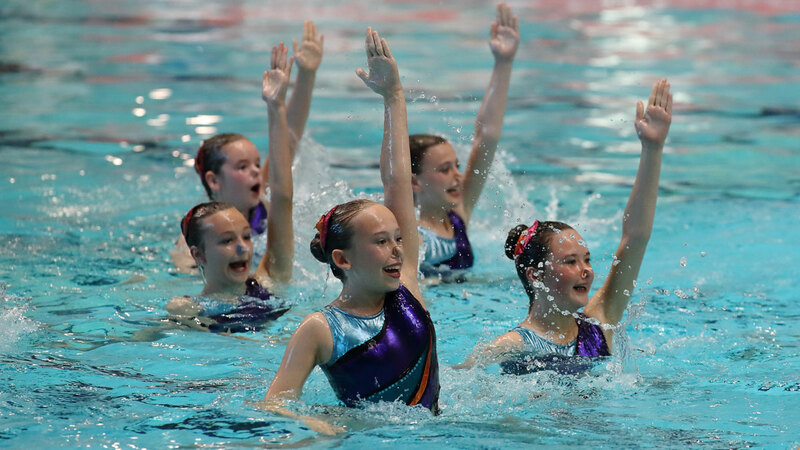 The future of synchro at Halifax SC looks in good hands as one of their U12 teams won the ultra-competitive Division 1 title, scoring 53.8667, while the other team finished sixth on 50.3667. 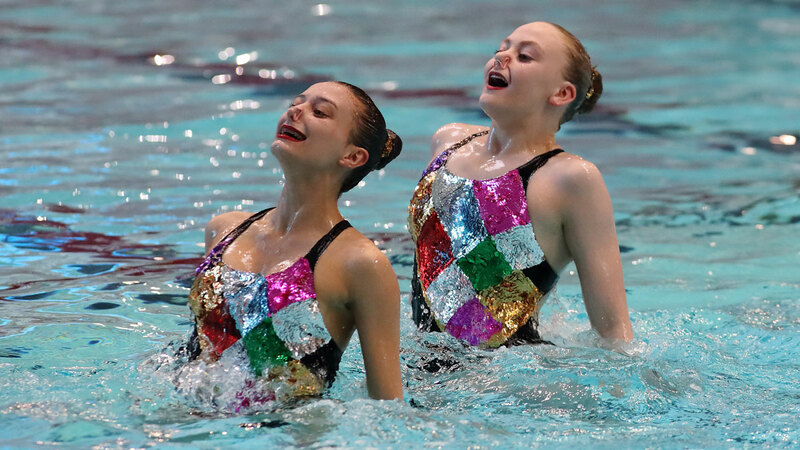 Another of the standout performances from Division 1 came from Hertfordshire club Aqualina as they scooped a one-two in the 13-18 Yrs. Their top squad scored the highest tally of the Division with 62.2000 while their second squad won silver on 58.5000. City of Bristol also broke 60 points as they won the Division 1 15-18 Yrs crown on 61.3000 while Walsall won the 13-15 Yrs title on 58.1333. 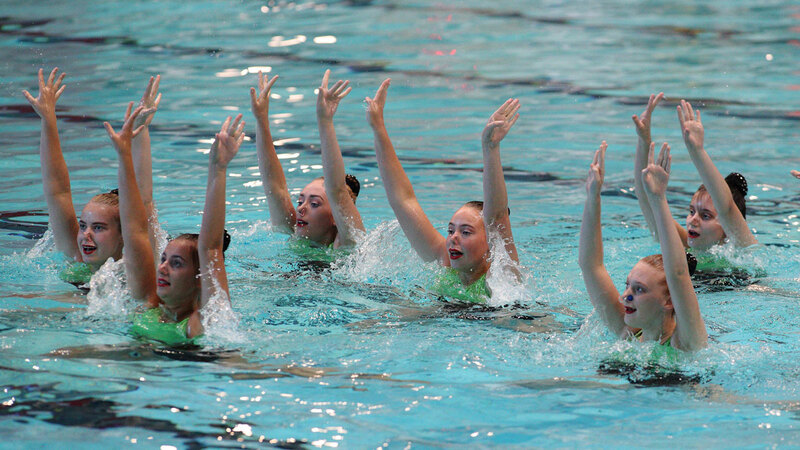 You can download a PDF with full results on our Synchro Results page.